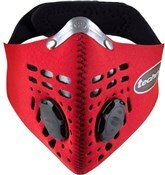 A specially developed mask to give country and sports cyclists with excellent protection against particulate pollution. 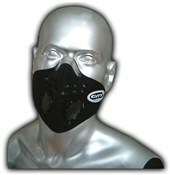 Uses a HepA-type filter to protect against sub-micron particulates such as pollens and respirable dusts. 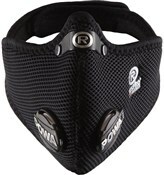 Includes two free flowing Powa valves to allow unimpeded exhalation, which is particularly important when riding at your limit. Comes in two sizes, with a contoured shape for a snug and comfortable fit, and Velcro pads for easy application. 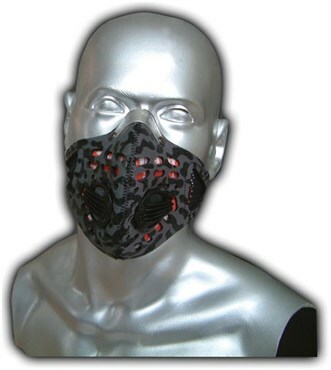 Made from aerated Neotex giving a lightweight and well vented mask. 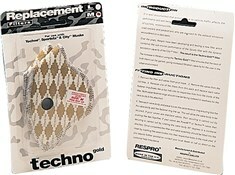 The filter is replaceable, and is designed to remain effective until a noticeable discolouration of the filter occurs.